Wait times in most emergency departments are ridiculous. But, if you have a real emergency, you won’t have to wait. If you have abnormal vital signs, a worrisome ECG, or concerning chief complaint, you will be seen long before the person who checked in with a sore throat to get a work excuse. Patients with chief complaints like “GSW abdomen” and “found down/unresponsive” don’t wait to be seen. And if the day ever comes (God forbid) that you have one of those problems, you won’t either. Your nurse may look like Nurse Ratched or Yosh Takata. Your doctor may look like Ben Carson or Doogie Howser. Or me. It may blow your mind, but the first man who walks in the room is not necessarily your doctor, and the first woman who walks in the room is not necessarily your nurse. An MD/DO is not the same as a DDS. I know this is confusing because both doctors and dentists get called, “Dr.,” but no one in the emergency department went to dental school. We see patients with “tooth pain” all the time, but we are not the right people for the job. You may be the most honest person in the world, but a little bit of skepticism is part of doing our job well. We have patients who prick their fingers to put drops of blood in their urine. 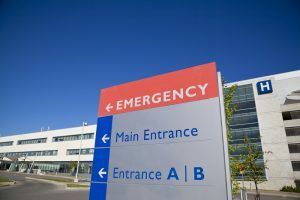 We have patients who get discharged from a nearby emergency department and check in at ours an hour later to get more pain medication and another prescription. ($10 per pill street value can help pay the rent). This is medical lingo for, “That person doesn’t look very sick!” If you answer your phone while I’m talking to you, it tells me that although you came to see a health care professional you are, in fact, more interested in speaking with someone else (and that makes me want to walk out of the room). If you’re the patient, don’t expect to eat until your workup is over. Nurses spend ridiculous amounts of time trying to track down doctors to ask if the abdominal pain patient in room 18 can eat. Every shift I hear a patient literally complain about hunger. (Which is probably a good sign that he/she is not that sick.) If there is any possibility you might need to be sedated for a procedure, you don’t get to eat. You won’t starve. I promise. Pain has never killed anyone and sometimes zero pain is unrealistic. When you put your hand on the stove, pain tells you to pull it away to avoid deeper, more serious burns. Pain is a safety mechanism, a warning. Acute pain is miserable and all-consuming, but it won’t kill you unless the cause will kill you. If you’ve been a patient in a hospital in the last ten years you know you repeatedly get asked to, “Rate your pain on a scale of 1 to 10.” While we like to hear “0,” sometimes the only possible way to take away all your pain is to give you so much medication you stop breathing reliably. You living on a ventilator until your neck strain gets better just isn’t an option. Pain can’t kill you, but narcotics can. Narcotics were instrumental in the early deaths of talents like Philip Seymour Hoffman, Chris Farley, Cory Monteith, River Phoenix, and John Belushi. Most opiate addictions start with real, painful injuries. If you’re miserable and you take something that makes you feel better, you will crave it again just for the pure relief of relief. Add to that the fact that it is truly addictive in the sense that your brain develops a hunger for it, and you have a set-up for serious trouble. I dare you to Google images of “skin popping” (the practice of injecting the drug under the skin — rather than into a vein — so that it diffuses more slowly and prolongs the high). Pain patients cry real tears and get whip crack angry when faced with not getting what they want — what they came for — what they’ve been given by so many doctors before you. 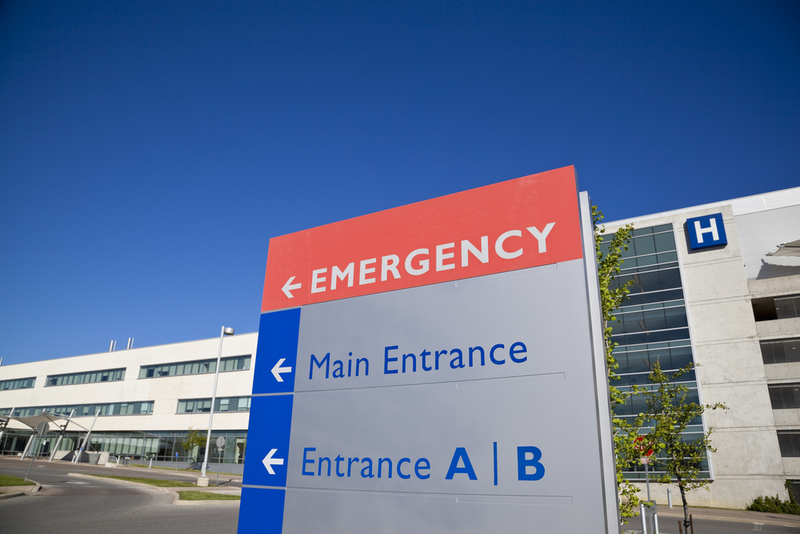 Hospitals are putting a huge emphasis on service and “customer satisfaction.” But we are busy. If I’m rushing to get back to a patient with a heart rate of 160 and you ask me for a blanket, it puts me in a bad spot. I have to acknowledge your request, but it’s hard for me to justify going to get it right at that moment. We don’t want you in the ED any longer than you have to be in the ED. We’d love to discharge you! We’d love to get you a bed upstairs! But if these things aren’t happening, it’s not because we’ve forgotten about you. Triage doesn’t end in the waiting room. You could be ready to roll to CT with abdominal pain and get bumped by a patient with a possible stroke. If you get labs and an imaging study, no less than seven people will have been involved in your ED course. Your care may not be efficient, but it should be thorough and excellent.